The Lord of the Fork Race is a Southeastern tradition that showcases one of the area’s most stunning and challenging river gorges – the Russell Fork River in Kentucky. Started in 1991 by NOC’s own Paddlesports and Outdoor School General Manager Chris Hipgrave, the race occurs every year during the last scheduled release. The name of the game? Speed. This year’s race drew a crowd of close to 100 paddlers coming together to test their skills. The day begins at 9:30am, with the water releasing upstream and traveling slowly to fill the Upper Russell Fork, working its way to the Gorge around noon. I was lucky to secure a late start time – meaning I was able to sleep until the very late hour of 6am to make the 5-½ hour drive from Bryson City, NC, to Elkhorn City, KY. Upon arrival, I met many smiling faces (and a few nervous ones) ready for the beautiful fall race day to begin. We worked out shuttles, loaded our gear and headed to the put-in around noon to sneak in a quick practice lap and jog our memories. Solid lines and fast times were had by all, and with excitement and confidence soaring high we headed back to the put-in for the start of the race. You may be wondering what makes this river so difficult. It’s the combination of big water and technicality combined with race-day excitement that gets the adrenaline going. Some of the more notable rapids include Maze Rapids, Triple Drop, El Horendo, Foreplay and Climax. For me, Climax is the most notable – the cross currents push you off-line, making it a very “twisty” rapid. And as the last rapid in the 1.5 miles course, you are nearing exhaustion. Overall, my race run was great – with the exception of a few bobbles here and there. I placed a solid 11th, just two-tenths of a second out of the top ten. 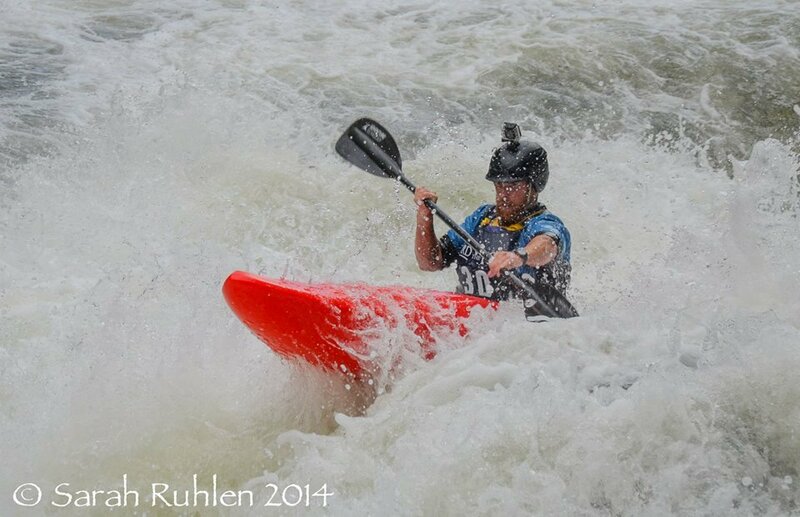 The Russell Fork never ceases to amaze me with its quality whitewater and amazing scenery. Next year, I’m hoping to dial my lines in a bit more – maybe even pass founder Chris Hipgrave (who placed 3rd).